They just "spoiled" Ziggaraut of Undeath on Facebook. I knew this was going to happen when we found all of those cards on other sites.  If they are only going to trickle out the previews this time, they should at least make sure that they are spoiling cards that haven't already been spoiled in promotional ads elsewhere. Otherwise they aren't much of a spoiler when we've already seen them. So now we'll have to wait until Monday for the chance to see a card we haven't already seen. Good point. If they've been shown on Crits Happen or elsewhere they aren't new. I also like to see a lot more cards that are school of magic based vs specific mage based. So instead of Necromancer only, Dark Mage only is my general preference. It adds more flexibility of play and more variety, so you aren't locked into a specific mage. So if there is a good dark spell the Warlock being able to cast it also adds more flavor to him. Or Nature Mage items could also be used by the Beastmasters. I can see how a very few specific items should be mage specific to make them unique but hopefully most cards are school based not mage based if they are limited at all. 1) Let's say that Zombie Minion killed for example Bitterwood Fox or Cervere or something with Fast trait. When reanimated acreature with Fast recive Slow trait will this two traits cancel one another (Cervere can move two zonne but caan't attack) ora Slow is "stronger" and Cervere has Slow trait? 2) Can Zombie Knight of Westlock use his Defence Roll to avoid attac? 3) Can Reanimated creature for example Asyrian Cleric use his Healing Light to heal another Living creature (for example Acolyte of the Bog Queen)? 1) Fast and Slow cancel each other out. You would have a normal speed zombie fox. 2) Defense rolls are totally allowed. 3) Asyrian Cleric can heal a living creature still, it's just not him anymore. Was I just not looking close enough, or does this expansion not include new spell books? And is it just me, or does Raptor Vine seem like a solid value creature? We'll need to wait till the full rules are spoiled, but yeah, the numbers are good. I'm a huge fan of Audrey II. I'm really hoping that Rooted gives teleport immunity in addition to immovable. Some people think that all these cards have been spoiled, but the rules details are keeping me up nights in anticipation. I guess that makes me a rules junkie. I'm going to guess that it gains a growth token when it kills a creature... I assume you won't be able to raise that creature as a zombie either...what does a growth token give is my big question. I think it will eat enemy creature, so it won't go to discard pile but will be removed from play for good. Me personally I wouldn't pull it out early and would favor non upkeep forms of armor first, 2 mana per turn (early on) is just too costly, but later game wouldn't matter as much. And why not? Cast it early game but don't reveal it. Reveal only after you start being attacked and pay the upkeep only if you can afford it and it's worth it, otherwise it's 4 life points for 4 mana and a quick action in a turn you didn't need it. That is a really cool thought! With 1-2 ring(s) its even better. Actually, im not sure if you can benefit from the regen and then refuse to pay upkeep. The rules are not 100% clear I think. Btw, if you have 2 corrosion markers on you, you could refuse to pay upkeep and recast it to get the armor back (unless you had still some armor left after its gone).